I love white for summer! Nothing like a great lace up or slide on sneaker to match that perfect whiteout look. I've done a round up of some great options at different price points. Many of them are sold at Nordstrom, which has some great sales going on! 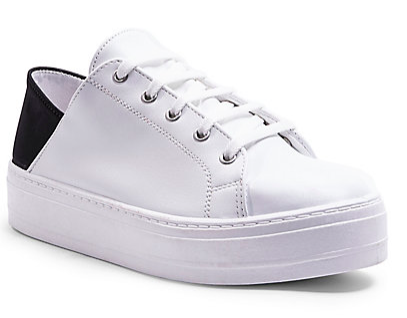 White sneakers look amazing with any look and add a sporty edge to everything from a mini dress to jeans. Scroll down to delve into a few of my favorites! Click on any image to be directed to where to purchase each shoe.